Spring Break is only a few days away! 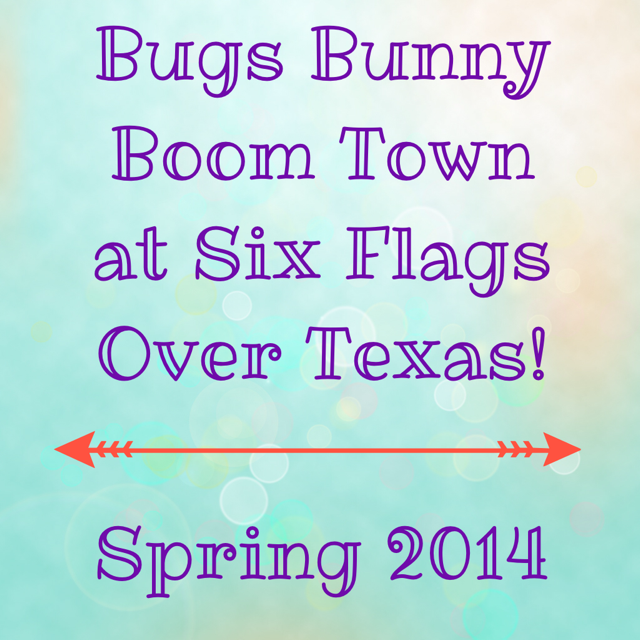 Do you have your season passes for Six Flags Over Texas yet? One particular attractions that we (the parents of a toddler) are looking forward to experiencing is this spring is "Bugs Bunny Boomtown". I hope this area will open soon! I think this area will look quite similar to the Sesame Street experience at Sea World in San Antonio! This kid-focused experience will feature three awesome features for you and your children!